Kolkata is the city of clubs, and these clubs are nothing if not absolutely iconic. And the Tollygunge Club is no exception to this list, ranked amongst the top 20 in the world. It has a 200-year-old clubhouse and a notable history and stands witness to the best that the city has to offer. The Johnson family laid out their indigo plantations back in 1781 on the very land where this club stands today. Between producing indigo and becoming home to everybody’s favourite club, this land also became the royal park of the Mysore ruler, Tipu Sultan, during his years of exile. The majestic house of the Johnson family is now the clubhouse of the Tollygunge Club and shows clearly the history it has lived through. 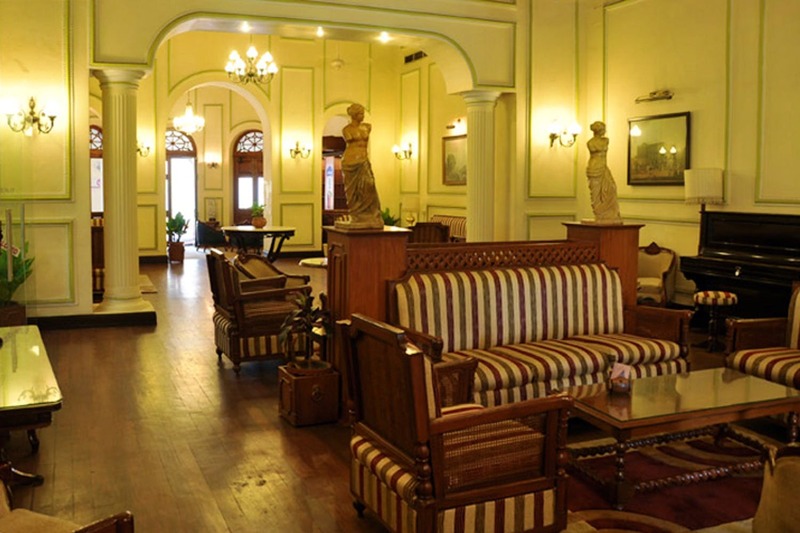 Tolly Club, as it is so fondly called, was set up as an area of retreat for the British merchants and bankers, which explains the 9 kms of distance from the city. It became the first and only country club of its kind in the country. It remains a private club, so their doors are open only for members and their guests. Their facilities still stay true to their sporty history, when founder Sir William Dixon Cruickshank (Harry Potter fans, give me a shout!) established the club to provide game and sports facilities in the vicinity of Kolkata. Their golf course is awesome and you definitely would not want to miss out on their amazing horse-riding facilities (the club was once a proper racing centre). They have two gorgeous swimming pools, one outdoors and one inside, with heating facilities for the winters. And for tennis lovers, they have not one, not two, but 6 lawn tennis courts to play in. The club also has billiards and pool options, as well as two excellent bridge rooms. And don’t forget to practice your squash skills while you’re here, for they have 4 courts here! The Tolly Club also has a perfectly equipped gym, a Flurys counter, and even a Spencer’s outlet where you can pick up groceries. Walk into their Proshop to bag some sports goodies. They have a supposed waiting line of 10 years but they’re definitely worth it. So you should probably get a membership right now so you can at least enjoy your old days in luxury and in the nest of nature, within the city!